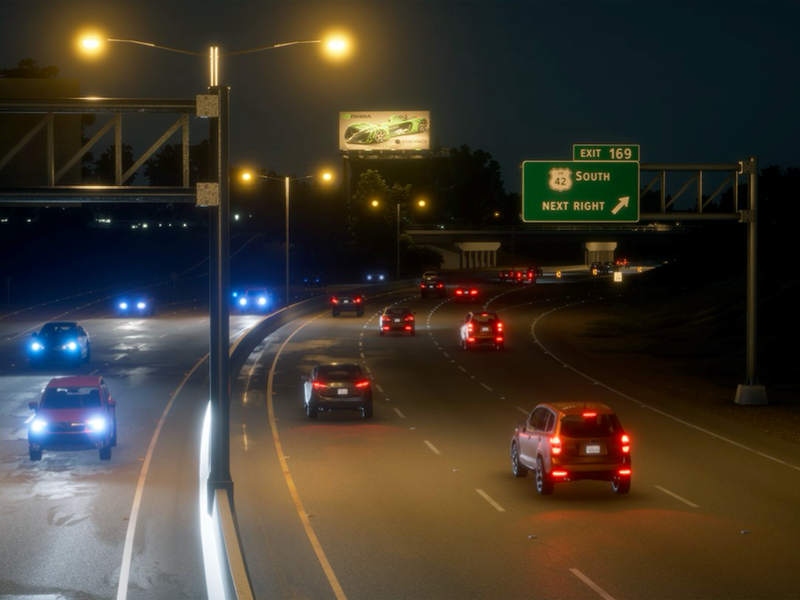 Constellation is an open platform that allows Nvidia’s partners to integrate their own particular models, vehicle models, sensor configurations and traffic scenarios into their testing parameters. Simulation provides companies the ability to run test scenarios all day. Driving all day at 60 miles per hour, Shapiro says 1,000 vehicles in Constellation could accumulate 1.2 million miles of simulated driving per day. Waymo, the commercially-minded offspring of Google’s self-driving car project that made its debut a decade ago, has made simulation a lynchpin of its testing-and-validation strategy. While the company’s vehicles have driven more than 10 million miles in the real world, it has recorded 7 billion miles worth of simulated miles, according to its latest numbers. Nvidia’s Constellation is underpinned by two servers that allow for what the company calls “hardware-in-the-loop” testing. That is, one server simulates the sensor outputs from a virtual car while the second, running the company’s Drive AGX computer, crunches the simulated sensor data. In addition to allowing self-driving car companies to quickly log miles, simulation provides the possibility they might one day not need expensive fleets of self-driving test vehicles that can number in the hundreds.